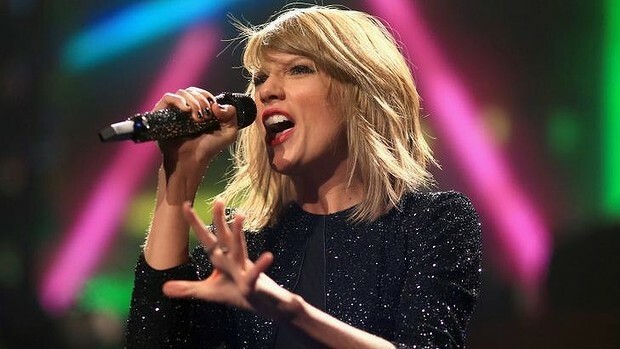 Taylor Swift won't be a surprise performer at Sunday's Grammy Awards. But Rihanna, Paul McCartney and Kanye West will. The Recording Academy announced on Tuesday that the trio would play their single, FourFiveSeconds live for the first time. Taylor Swift won't be making an appearance however. And rumours are circulating that album of the year favourite Beyonce might perform too – in a tribute to the civil rights movie Selma, with John Legend and rapper Common. Between them, Rihanna, West and McCartney have won 46 Grammys. West will be looking to add to his tally of 21 in the rap/sung collaboration catgegory, with Bound 2 (sung with Charlie Wilson). Rihanna is up against West in the same category for her collaboration with Eminem on The Monster. Swift says she's too focussed on her world tour to take to the Grammys stage. But she will be sure to shake her booty to the acts that are performing. "A lot of you have been asking about the Grammys this week and I just wanted to give you an update," Swift said. "I'm really excited to be nominated for three Grammys this year and even more excited that I'll be there having a dance party/rage fest in the audience. "I will also be presenting the award for best new artist. Since my whole life is wrapped up and entangled in the planning of The 1989 World Tour right now, I'm not going to be performing on the Grammys this year. I need this time to focus only on the tour." Despite earning four Grammy nods, Sia's not sure she'll attend the big show on Sunday (Monday Australian time). "I know, it's getting a little close," longtime manager David Russell said in an interview last week. "It remains to be seen what we'll do." Sia and Chandelier earned nominations in the top categories, including song and record of the year. The Australian singer caused a stir when she didn't attend the recent ARIA Music Awards even though she won five honours, including album of the year. Instead, Sia filmed an acceptance speech starring comedian Carrot Top. Russell, who has worked with Sia for more than a decade, said they didn't see the commercial success coming. "We didn't anticipate that kind of reaction, but that fact that that's come has been extraordinary," he said. Other confirmed performers at the Grammys include Madonna, Sam Smith, Pharrell, Lady Gaga, Ariana Grande, Sarah Bareilles and Carole King.